Usually instead of white ink, I stamp in Versamark and emboss with white powder. For this card, I used the white ink which is more subtle and doesn't give quite as crisp a white. 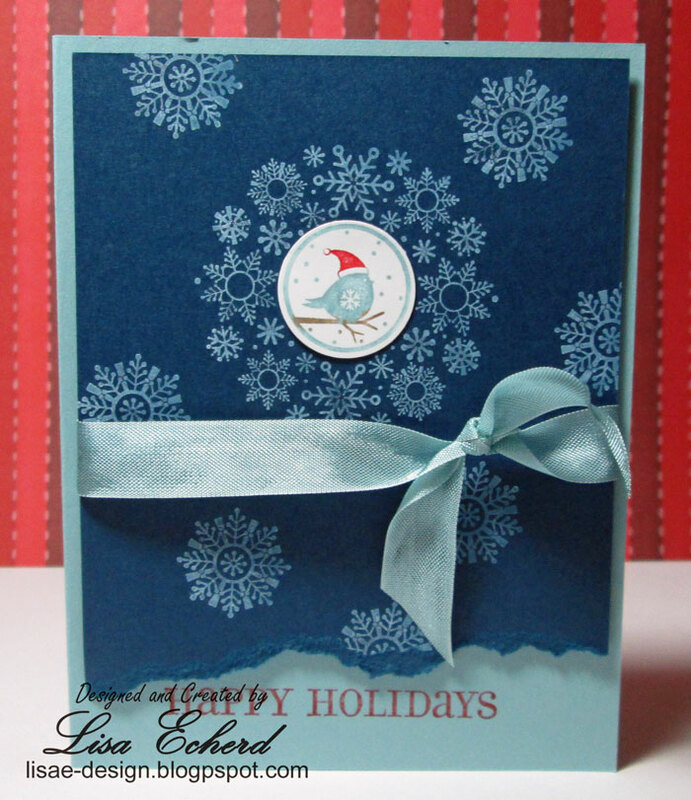 I think it goes well with the Baja Breeze cardstock and ribbon. This is one of the sets in my Use It and Move It series. I do plan to make other cards with this set before I let it go. To see the sets I do have for sale, visit me at Lovely Layers Art. 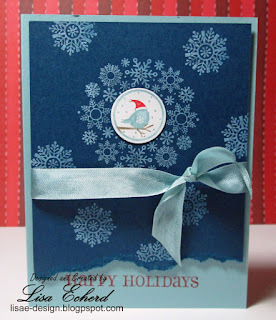 That card looks great Lisa ... and very cute stamp set too!